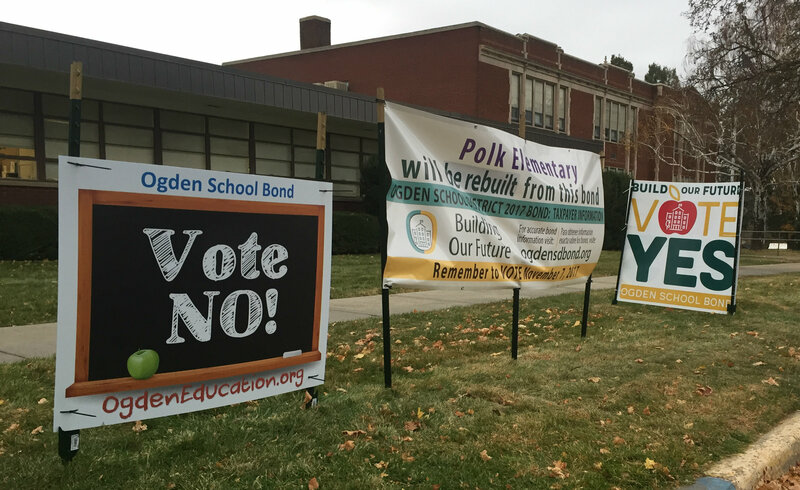 OGDEN — A proposed $106.5 million school bond in Ogden sparked sharp debate, failed at the polling place but remains a point of contention. Ogden School District officials proposed the bond as part of continuing efforts to modernize schools, make facilities safer and, by offering sparkly new buildings, prevent parents from transferring their kids to schools outside the system. Foes worried plans to enlarge three schools, particularly Polk Elementary, would turn them into large student repositories and charged the proposal wasn’t well thought out. It kept me busy on the eve of Nov. 7 elections after I unexpectedly inherited the education beat, at least temporarily, and now, after its narrow defeat at the polls, it remains a live issue. The needs at Ogden schools remain, so the question becomes — what now? Do school officials come up with a new bond proposal, do something else? I’ve done only some school reporting, but it’s important stuff, I’ve enjoyed digging into the issue.